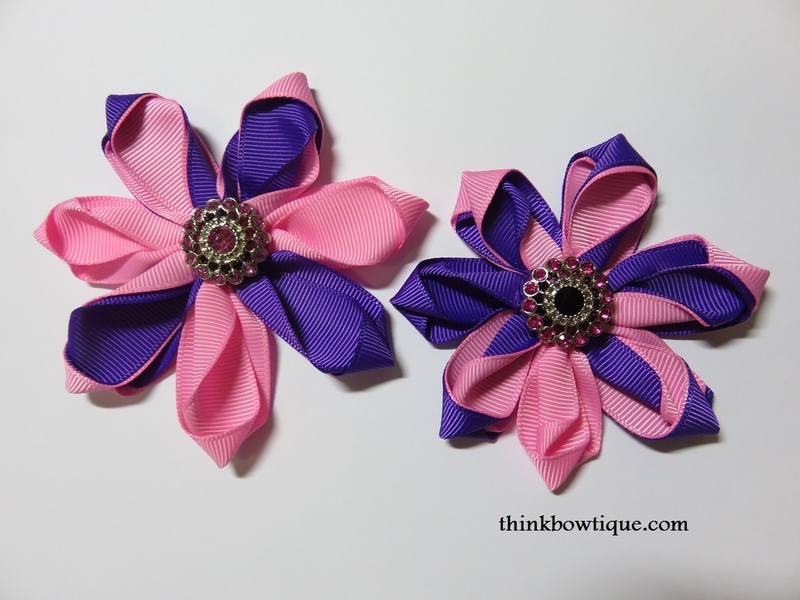 Grosgrain ribbon is such a great ribbon for making flowers. 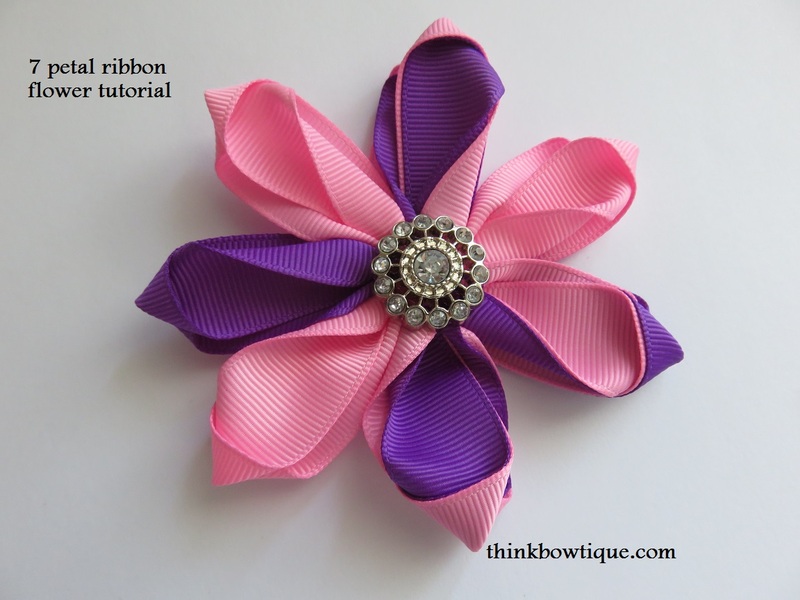 This 7 Petal ribbon flower tutorial is another variation on the 5 petal ribbon flower. 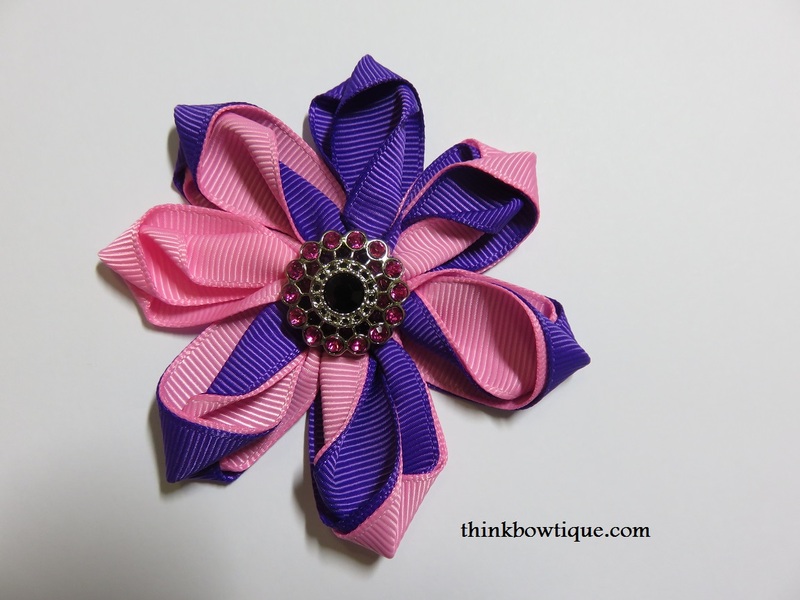 I made this flower using 22mm grosgrain ribbon cut to 10cm lengths of grosgrain ribbon. It would also look good with if you cut the ribbon 8cm long. Embellishment for cent of flower. 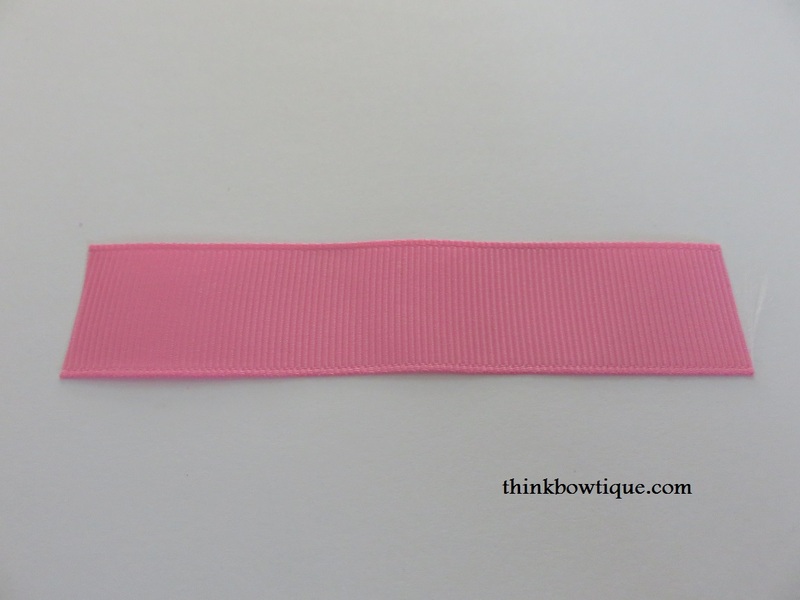 Choose your ribbon colours and cut 7 lengths of ribbon 10cm long. Then seal the ends. Put the edge of the ribbon close to the flame but DO NOT let the ribbon touch the flame. You will see the ribbon edge melt a little. 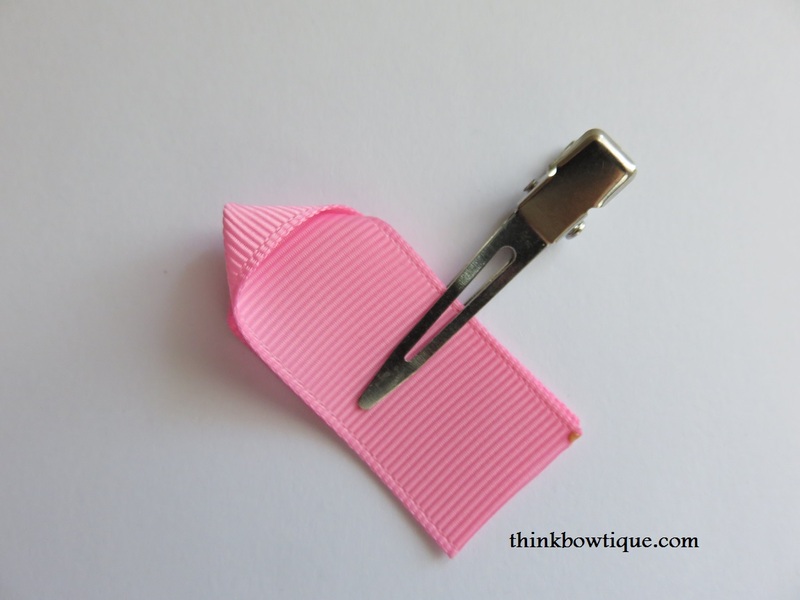 Now fold your grosgrain ribbon in half, then just pull your top layer of ribbon out to the side at right angles with the bottom length of ribbon. 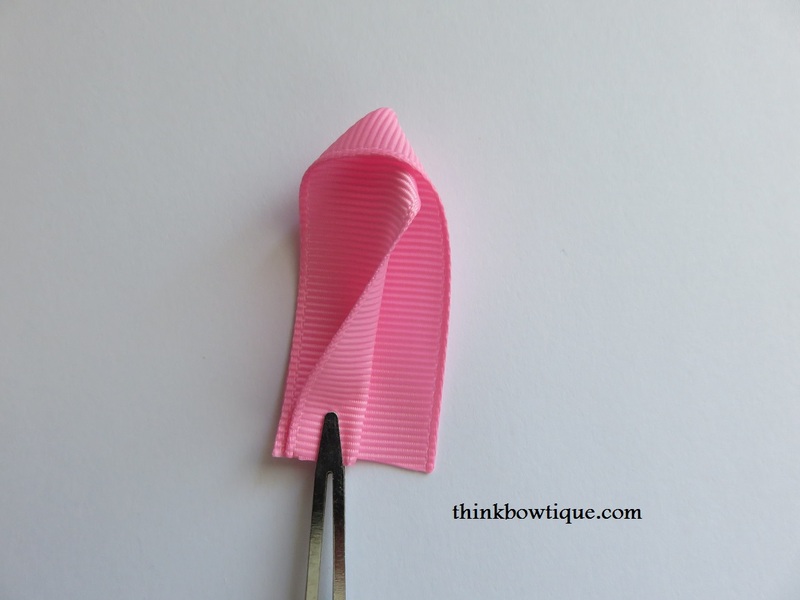 It’s helpful if you put your finger inside the folded ribbon to mark the centre. 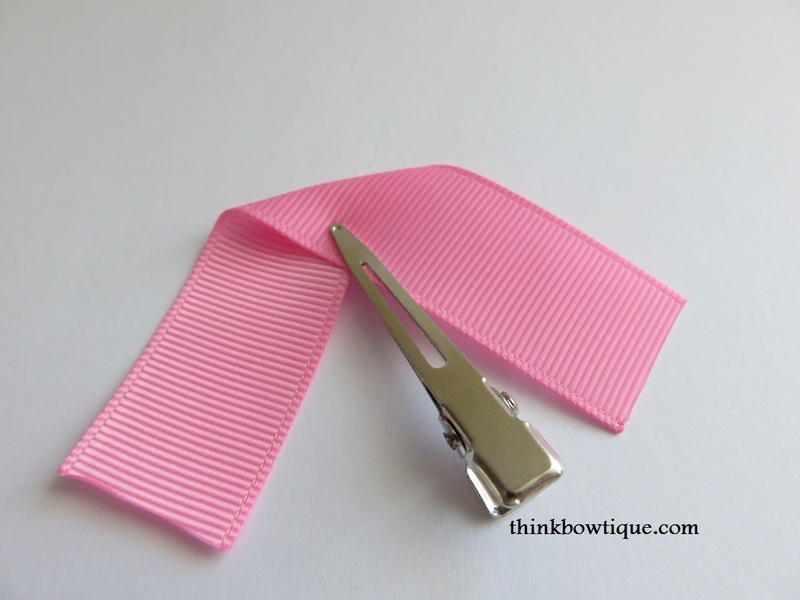 Your grosgrain ribbon will look like the above photo. 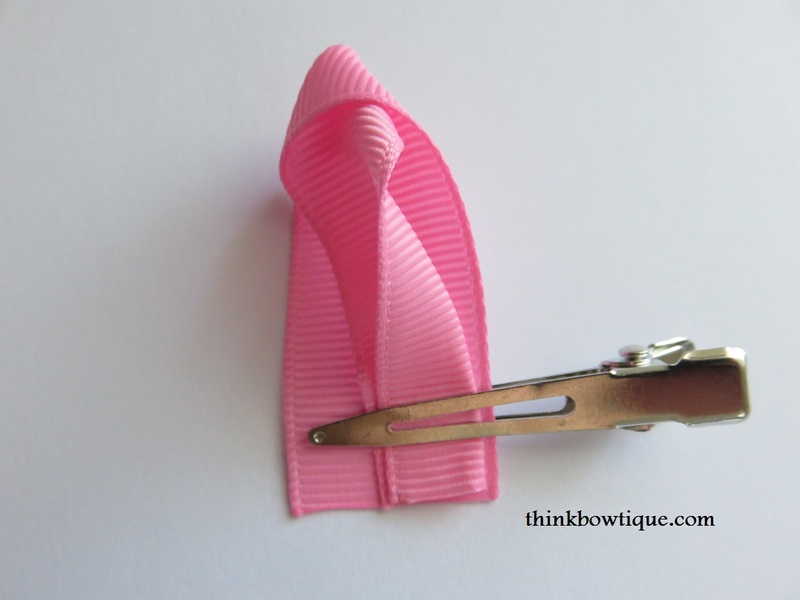 Take the top ribbon the bit the hair clips is touching in the photo above and fold it back onto the bottom ribbon so it looks like the photo below. The bottom edge is the flat length and the top is the pointy edge. 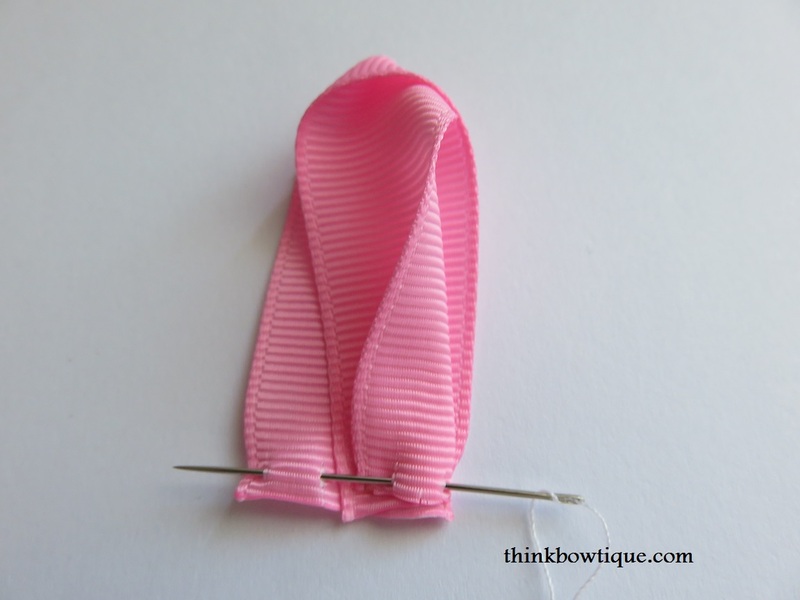 Take the top layer of your bottom edge and fold it in half back to the left side. See photo below. Now pick you up folded top layer, keep it folded and move it back to the right side. The bottom layer of grosgrain ribbon does not move. With your needle threaded knotted. 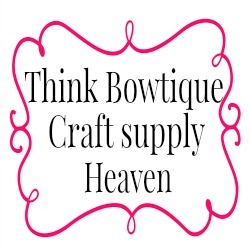 Push the needle through all layers on the right side bottom corner feeding through the grosgrain ribbon to create two peaks and one valley like the photo below. Now repeat with all 7 ribbons. 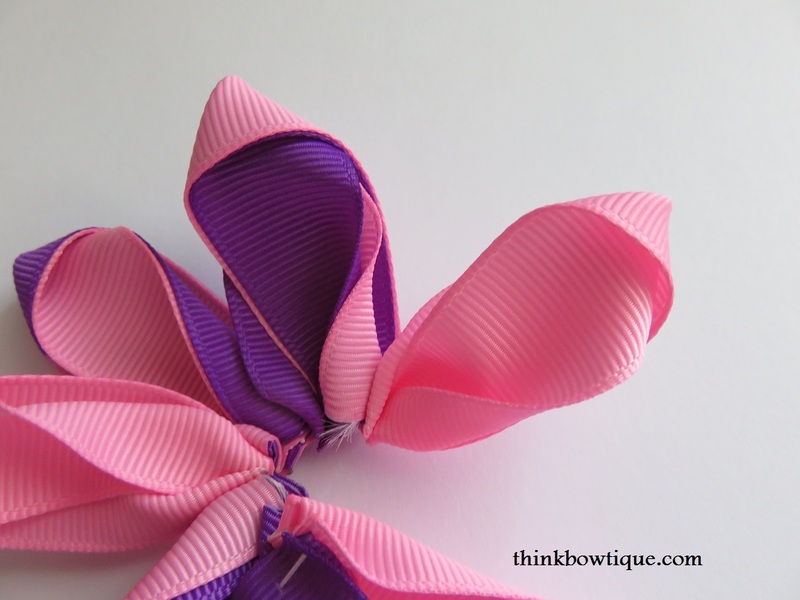 To add a little more colour you can place two ribbons on top of each other and make the petals the same as above. Thread each petal on as you go. 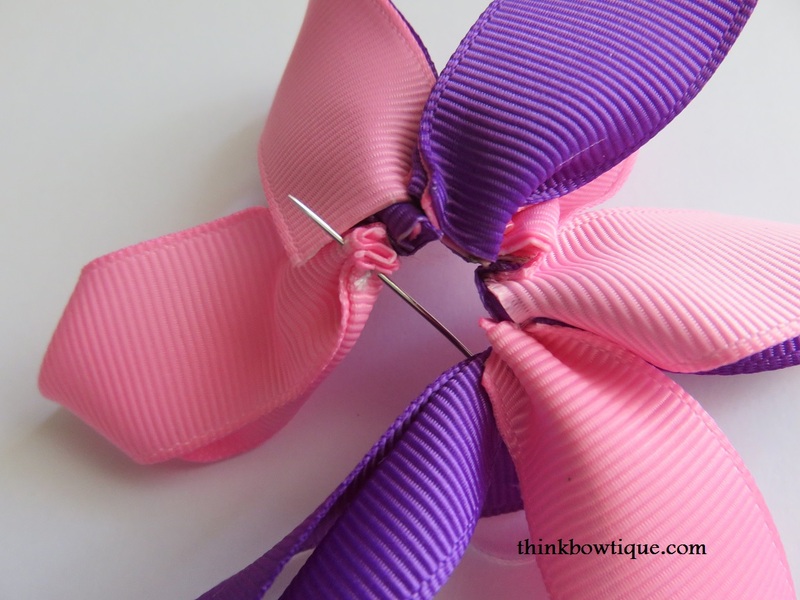 If you are using different colours it’s a good idea to lay your ribbons out in the order you would like them and then make your petals. Once you get to the end of your petals push your needle through the front of your first petal and out the back. Pull your thread to pull the petals closer together. To get the petals a little tighter together I like to feed my needle through the back of the next couple of petals. Pulling tighter with each one. Then tie a knot. 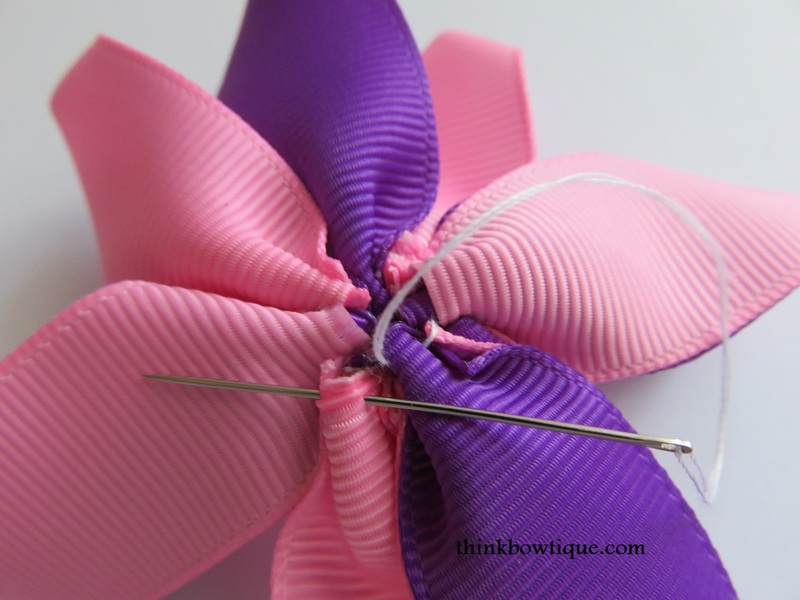 Play around with different colours this flower below is made with 8cm lengths of grosgrain ribbon. This flower I place the top layer a little off centre to the right instead of all the way to the side. This is the 10cm and 8cm flower. If you using this flower for clothing you can sew it on or if you would like to create hair accessories add a hair clip to the back.